Volunteers are needed to help clean up the Mill Brook in the area of the Arlington Reservoir, Hurd Field, and the Colonial Village apartments on Sunday, October 16, from 12 noon to 3 pm, rain or shine. The clean-up is sponsored by the Mill Brook Study Group, which is part of the Town’s Master Plan Implementation Committee. Drawing attention to Mill Brook to enhance both its environmental value and economic development potential is one of the goals of the Master Plan, and this is the first of other public activities to make the brook more visible and accessible to Town residents. Volunteers are invited to meet at the footbridge over Mill Brook between Hurd Field and the Reservoir, near the Wildlife Habitat Garden. Parking is available at the Reservoir lot on Lowell Street or at the Hurd Field lot on Drake Road. Wear boots, long pants and gloves, and be prepared to get wet and muddy. Mill Brook, you may ask. Where is that? Mill Brook is an historic waterway that flows nearly three miles from the Arlington Reservoir near the Lexington border into Mt. Pleasant Cemetery in the Center, and eventually empties into the Lower Mystic Lake. In the early centuries of Menotomy and later Arlington, Mill Brook served an important function in the industrial corridor that remains in many sections between Mass Ave and the Minuteman Bikeway, a former railroad line. At one time there were seven millponds that managed water flow to power nine mills along the brook. During the 20th century those ponds were drained and filled to create playing fields, roads, and other development. Much of the brook was forced into stone and concrete channels, and nearly one-third of the waterway is now hidden from sight in culverts. The section of Mill Brook where this clean-up will take place is one of several areas that remain as natural, vegetated open spaces around the waterway. 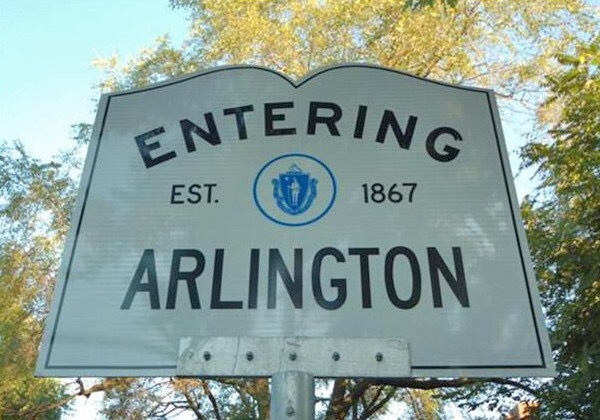 Join the fun and get to know an often overlooked feature of Arlington’s natural and social history. RSVPs are not required, but are appreciated. For more information and to RSVP, contact Laura Wiener in the Planning Department at 781-316-3091 or lwiener@town.arlington.ma.us. Medford:SUCCESSFUL HEALTH & WELLNESS FAIR HELD AT MHS!